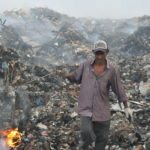 17 Jun Ukulhas – an example waste management system? 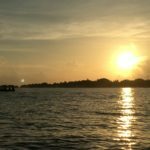 A few weeks ago I went to visit Ukulhas, an island in Alif Alif Atoll known all over the Maldives for its waste management system. I was so excited to come visit this island I had heard so much about and lift my hopes a little bit, as since I’ve arrived here it’s been a lot of tough uphill battles. We met with Ali Zameer, one of the councillors in Ukulhas (islands are governed by a local island council) who showed us around the island and brought us to the famous waste management centre. The centre is divided into three sections: organic waste, collection areas for glass, tins, cans (etc) and the burn pit. 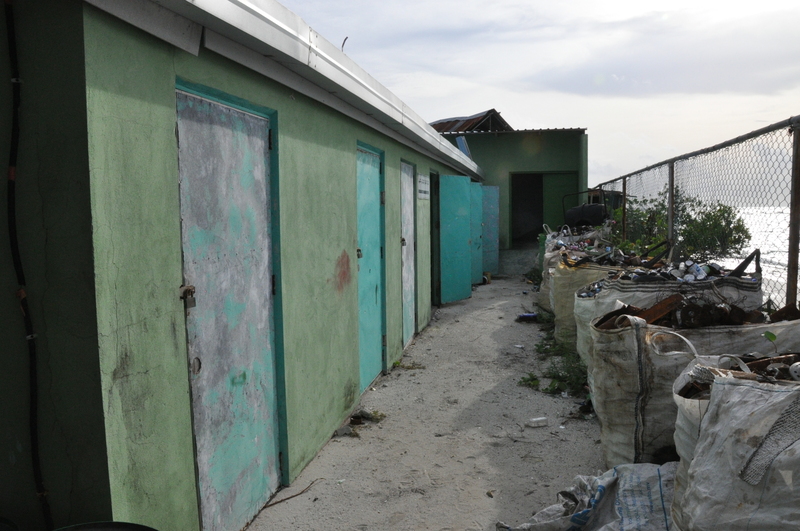 All waste is segregated at the household level, collected by the island council in exchange for a small fee and brought to the waste management centre for processing. 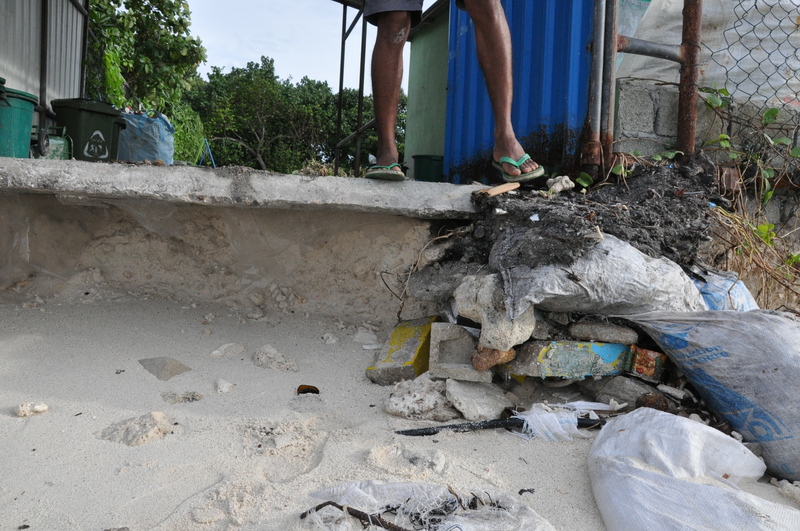 Ukulhas is one of very few islands that have a proper composting system. 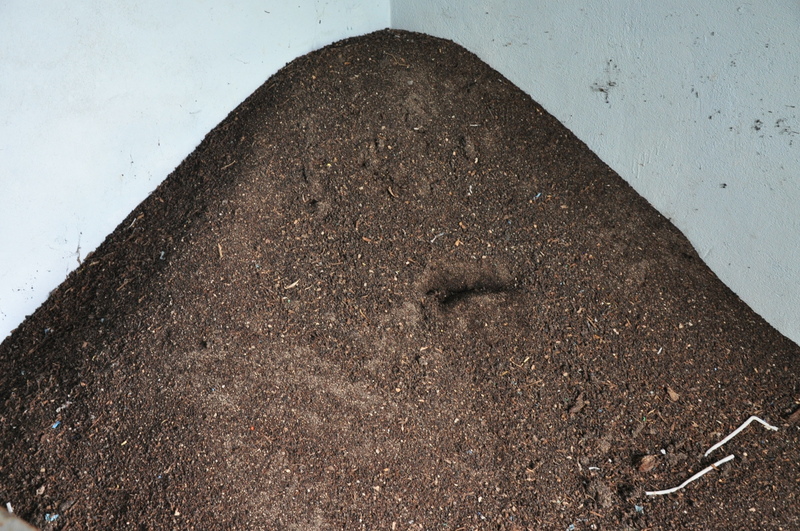 However, the waste segregation is not perfect – as you can see in this compost pile below, lots of pieces of waste and plastic end up in the initial piles, although this is later filtered out. 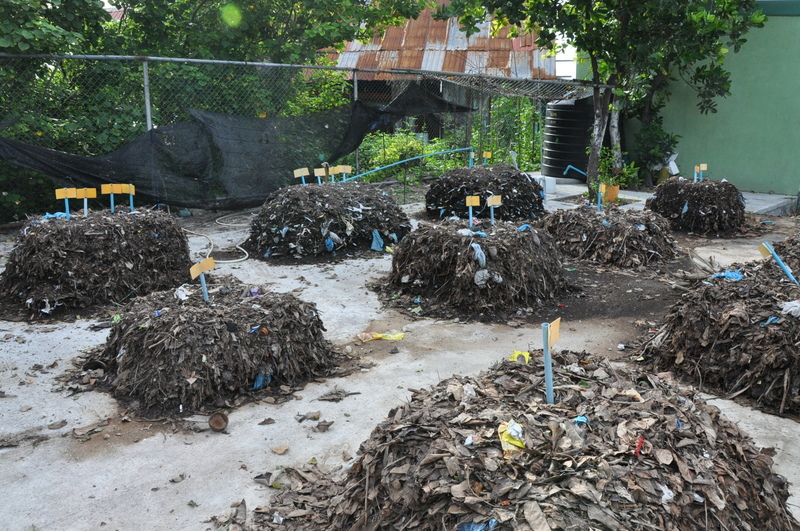 While a small portion of the final product kept on the island for gardening, the majority of the compost is sold to resorts for them to grow food for their guests. 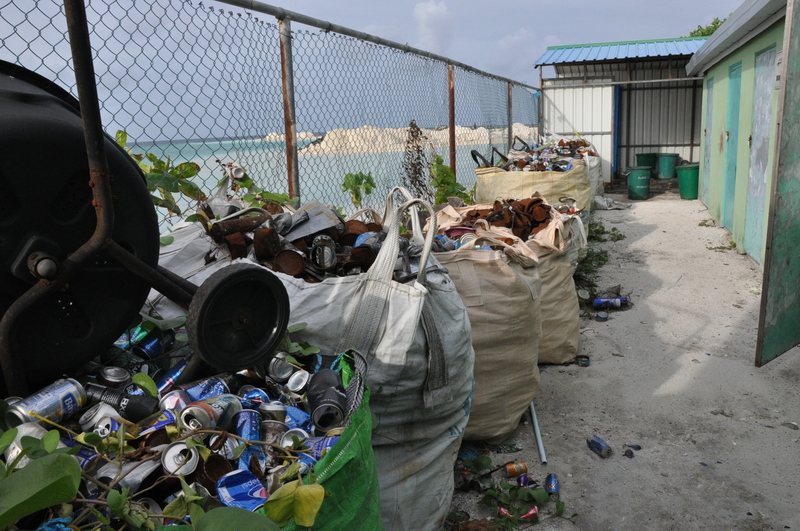 Other waste – including tins, cans, and glass – are all kept in large storage areas and sent to Malé to be sold to Secure Bag, a company that purchase materials and export them out of the country for recycling (http://www.securebag.com.mv/). Our tour ended at the burn pit for all “other” waste, which currently includes plastic bottles, plates, old fins, aerosol cans, and other miscellaneous items. 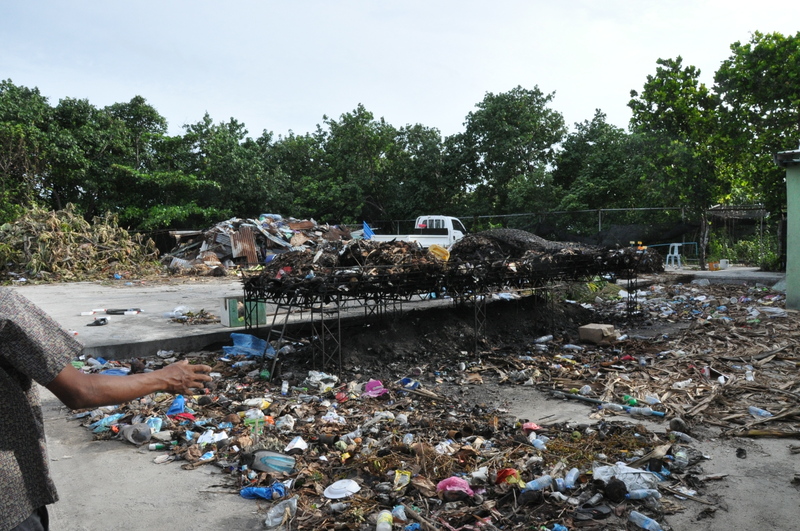 Needless to say, we were really disappointed to see this and it was frustrating to see, especially when Ukulhas has been praised as an island with an infallible waste management system. On top of that, they use the burnt plastic waste as filler for their current land reclamation project, meaning they are putting this directly into the sand and water. 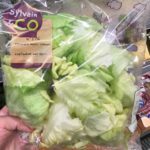 This will undoubtedly be carried out into the ocean through wave erosion, leading to likely ingestion by marine animals. I sound really nitpicky, and I know that this is much better than so many islands who just have a large burn pit with everything, but still… I think I was so deeply disappointed because I had been waiting weeks to see this perfect model island and it wasn’t really what I had expected. In a job where there are SO many lost fights, I think I really needed a win! 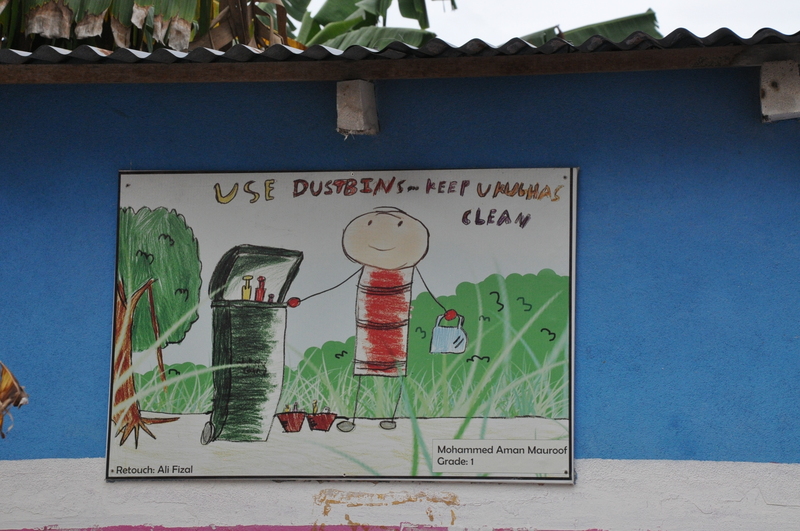 Apart from this, awareness-raising has been done very well in Ukulhas. It’s hard to get islanders to segregate their waste, but this has been achieved through targeted and consistent education interventions in schools and for adults. 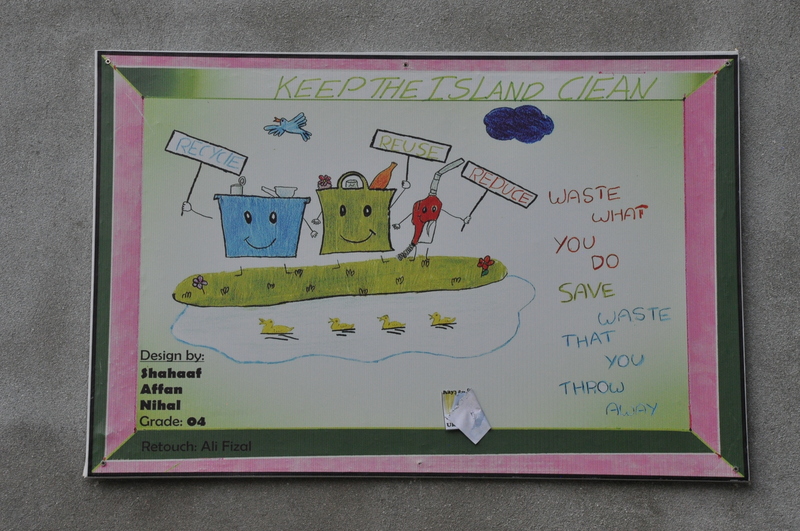 Walking around the island, you can see lots of posters done by the local children that remind people to keep their island clean, to engage in clean-ups and to save their waste. 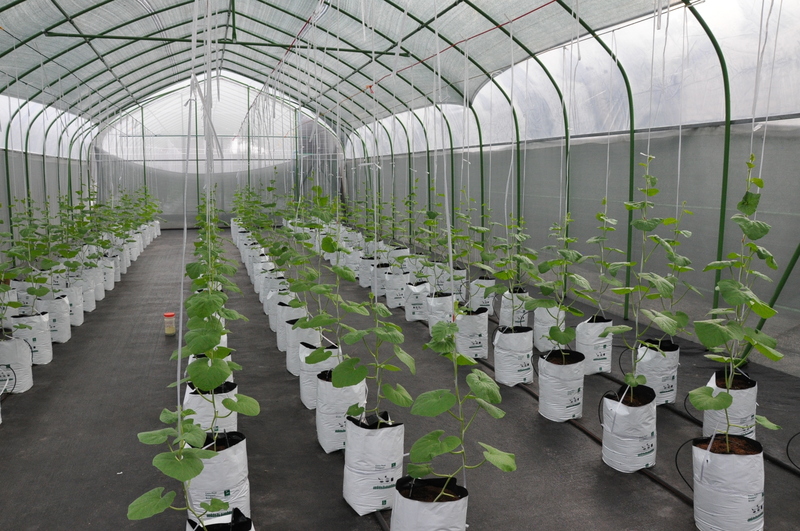 In addition to this, Ukulhas has just started a cultivation centre, run only by women! 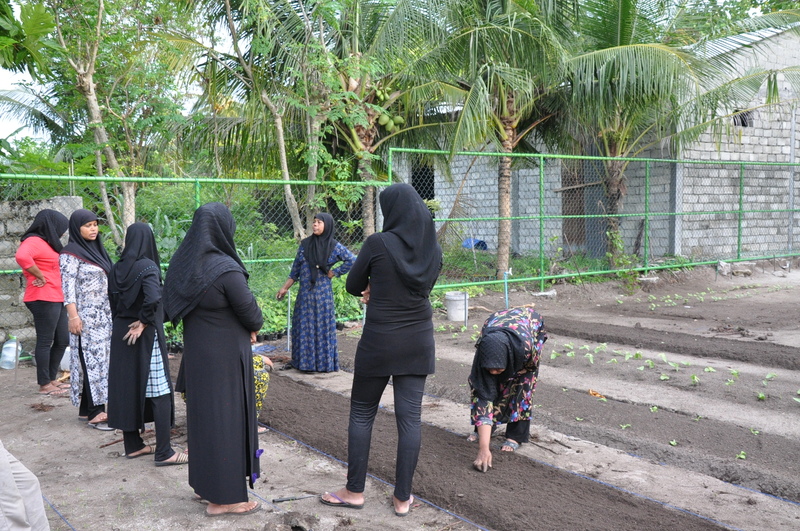 They are taught valuable skills, get out of the house and engage in growing food for their community. So that’s obviously fantastic to see, and definitely cheered me up after the burnt plastic dark mood I had been in after our visit to the waste management facility. 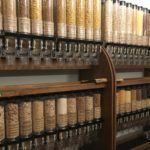 Overall, Ukulhas is definitely an example in the Maldives, and they’ve demonstrated incredible initiative, passion and motivation in improving their waste management system. I just think they need to push it further and make sure they don’t rest on their laurels and on what they’ve achieved so far, especially when it comes to evil plastic. 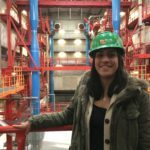 It’s all a part of a long process, but they’ve done the hardest part already: changing hearts and minds.